NWEA Testing Make-ups! If you you did not finish the ELA portion of the test, please let me know. You must go to Mr. Pittinaro's room to finish up today! Periods 1, 2, 9: Finish Viewing of TKMB. Periods 4, 6: Finish Viewing of TKMB. Periods 1, 2, 9: Write your own sonnet and submit. Materials you need to work on your project. Spend five minutes with a partner studying Vocabulary List 7 with your vocabulary flash cards. 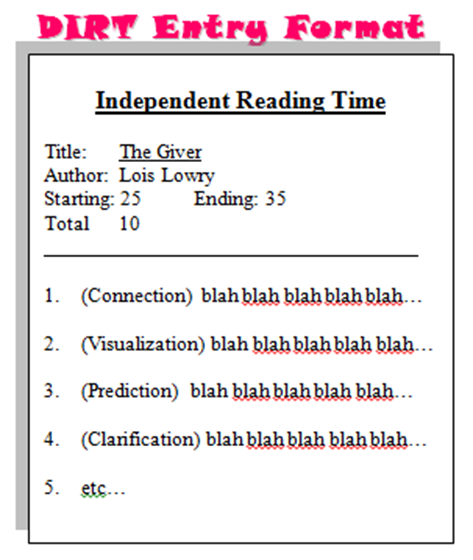 I can create a project that proves I understand how Harper Lee develops the theme of taking a stand, integrity, or the golden rule over the course of the novel. I can plan and crate a project proposal to be handed in by the end of the period. Read the Final Project for To Kill a Mockingbird document. Complete your Project Proposal and hand in by the end of the period. Submit your Project Proposal for approval. Complete one important task for your TKMB Project. I can comprehend the sequence of events that occur in chapters 26-31.
Review proper responses for all study guide questions. Review parameters for the final project for the novel. All resources needed to work on your project. I can create my final project rubric needed to evaluate my project. I can be have at least 50% of my project completed by the end of the period. Discuss project progress as a class. Proof of 50% of project complete. Complete your TKMB Project for Monday. How might someone without an iota of temerity respond to an invitation to go skydiving? How might a prosecuting attorney elucidate a jury on how a criminal purloined merchandise from a jewelry store? I can explain what integrity is and identify examples of integrity from the novel and real life. First, an anecdote about integrity and something found in an airport. Meet with your NYC appointment and share a story about either yourself, someone you know or a story you heard that exemplifies integrity. Complete the Frayer Model for the word INTEGRITY. Answer the following question on a sheet of loose-leaf paper (no composition book paper please) and turn it in before you leave for the day. Find one quote from the novel that shows someone having integrity. Copy down the quote with the chapter and page number. Read Chapters 26-31 and complete the corresponding Study Guide Questions (Click this link for a copy of the questions). Review proper response structure for study guide questions. Read and complete SGQs for chapters 26-31. Completed SGQs for chapter 26 and 27 #s 1-4 by end of the period! Finish reading the novel and complete the remaining SGQs #s 6-11 due Monday. One piece of scotch tape. With a partner, share a story of a time you, a character, or someone you know took a stand. be prepared to share a brief version of it with the class. I can analyze the development of the theme of integrity as it relates to the theme of taking a stand! Review and analyze the four Key Quotes posted around the room. Quote A is about: Not hurting the innocent, or even protecting the innocent. TURN and TALK: Determine what each of the other quotes mean with your partner and be prepared to share your answers. Get a sentence strip from Mr. DeGrandis. These were taken from the Taking a Stand anchor chart. Get a piece of scotch tape and tape it to your sentence strip so it is ready to place on one of the Key Quote posters around the room. Think about why the character might have taken a stand. Determine which of the 4 quotes around the room best represents why the character might have taken that stand. Change your mind? It's OK. Tape your Taking a Stand Sentence Strip to your final choice in one of the corners of the room. Complete the following sentences with a word family member from List 7. My mother said that _____________________ anything is illegal no matter from which store you stole it. My science professor ______________________ my on the mysteries of supernovas and giant dwarfs. Mr. DeGrandis thinks he's the ____________________ teacher in the school, but he really isn't that clever. I can create study tools in order to help me memorize and use all the words in vocabulary list 7.
review of making vocabulary flash cards. Properly use 10 vocabulary words in 10 well- constructed sentences that prove you understand the meaning of the words. A pen or pencil, your novel and blue folder. We had slowed to a cautious gait and were feeling our way forward so as not to bump into the trees. 6. purloin v. - (purloined, purloins, purloining) - to steal something. Jeremy must have purloined a copy of the school's master key because that is the only way he could have gotten into the cafeteria without breaking a window. I can recall major events of chapters 8-14. Correct homework from chapters 8-14. Read Chapters 15-25 and complete the corresponding Study Guide Questions (Click this link for a copy of the questions). A pen or pre-sharpened pencil and a sheet of loose-leaf sheet of paper (nothing torn from a composition notebook please). That mini-van has a capacious storage area which makes it an ideal choice for larger families. 8. trepidation n. - (trepid, trepidly, trepidity, trepidant, intrepid) - a feeling of fear that causes you to hesitate because you think something bad or unpleasant is going to happen. After listening to the teacher describe how important the NYS ELA test was and all the preparation needed to do well on the test, Pam began to feel her trepidation grow about failing the assessment. I can recall the events of chapters 15-25 of the novel TKMB! 9. irascible - adj. (irascibility, irascibly, irascibleness) - becoming angry very easily : having a bad temper. Unlike his twin brother who never seems to get upset, Colin is irascible and gets angry very quickly. 10. pithy - adj. (pithier, pithiest) - using few words in a clever and effective way. William Shakespeare was so skilled in using few words in clever and new ways that he is considered one of the most pithy writers ever. I can recall events from the novel, identify important themes and show how details from the novel reveal aspects of Atticus' character. Prepping for the test essays. Test on Chapters 15-25 on tomorrow!